One man’s experiences with trauma through fraternal suicide, violence, homelessness, and self-loathing are analysed. Bingeing and purging using laxatives and other compensatory behaviours are discussed. 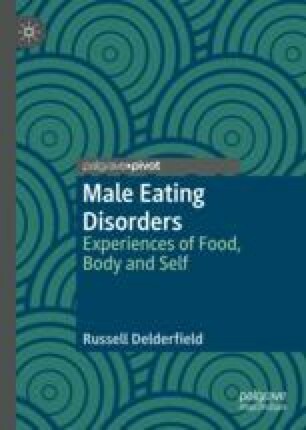 The concept of stoic masculinity in male eating disorders is presented and debated in light of this man’s willingness to seek help. The idea of recovery appears but this is contrasted with a continued use of dieting. ‘Fugliness’ is introduced, explained and discussed. Beat. (2018) Eating Disorders Statistics. Beat. Retrieved June 17, 2016, from https://www.b-eat.co.uk/about-beat/media-centre/information-and-statistics-about-eating-disorders.